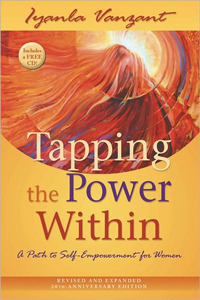 This book offers a path to self-empowerment through the revitalization of one’s spiritual and ancestral roots. This is a classic guide to uniting the will with the spirit teaches that only you have the power to make a change for the better. 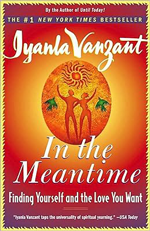 The revised and expanded 20th-anniversary edition of Iyanla Vanzant‘s first published work offers a powerful path to self-empowerment through the revitalization of one’s spiritual and ancestral roots. Written with Iyanla’s signature healing stories, this classic guide to uniting the spirit and the will teaches that only you have the power to make a change for the better. With chapters on basic breathing and meditation techniques, setting up a home altar, connecting with ancestors and guardian spirits and the extraordinary power of forgiveness, this book is a perfect companion on the route towards the real you. This book is a beautifully-written, honest, humble and insightful roadmap to self-discovery, self- forgiveness, and self-empowerment. 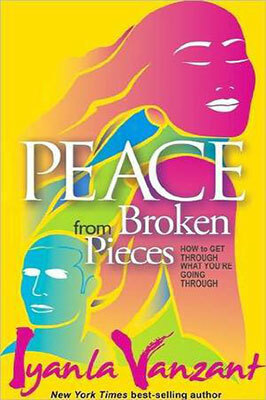 In this day and age of formulaic drivel, this author stands out as powerful, practical resource for living in vibrancy. 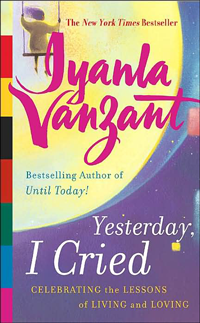 Ms. Vanzant shares deeply personal and often painful aspects of her past with the generous intention to heal the reader. Her sharp humor and poignancy make the read very easy. She gives specifics on how to connect with your power and making right choices, no vague greeting card nonsense here. Her style is easy to understand, and the wisdom and value is immediately apparent and accessible. She has that rare talent of making complex and subtle points seem effortless, clear and deceptively simple. This author is a true gem and the real deal. GET THIS BOOK NOW… don’t let fear and procrastination talk you out of it. You CAN afford it. You are worth it. Invest in yourself and sow a seed into your life.